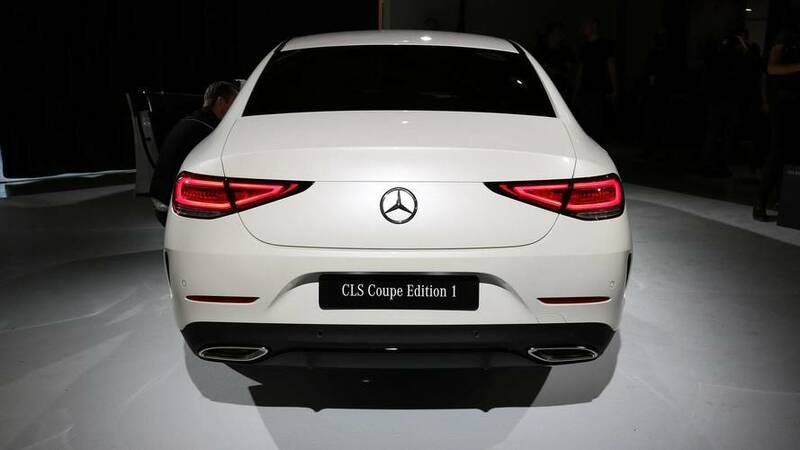 A fresh look as the CLS moves to the MRA platform used for E- and S-Class. 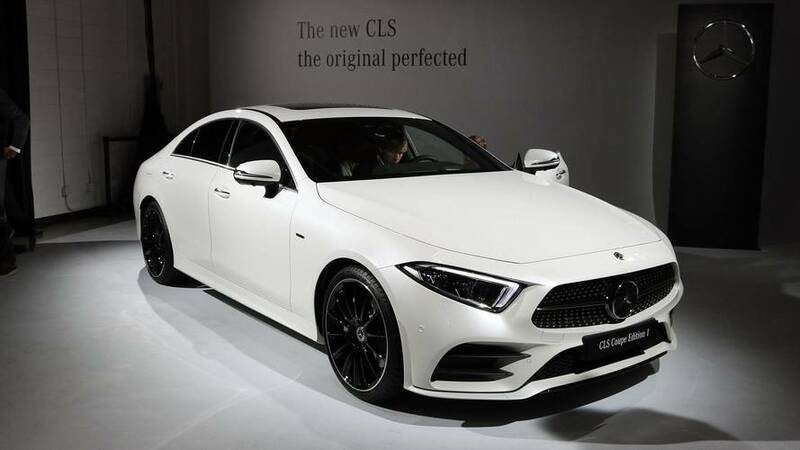 The extensive teaser campaign is over, and the all-new, third-generation Mercedes-Benz CLS-Class finally makes its debut at the Los Angeles Auto Show. The new car, which gently evolves visually under the company’s Sensual Purity design language, will go on sale in the U.S. in fall 2018. It also will be the first model to introduce a new mild-hybrid powertrain with inline-six gas engines. The new CLS-Class rides on Mercedes’ MRA modular chassis, and chief engineer Michael Kelz explains that, “it’s a combination of E-Cass and S-Class components.” It is built on the E-Class line in Sindelfingen, Germany, yet uses the interior, electronics, and driver-assistance components from the recently refreshed S-Class range. Despite the underlying similarities to the E-Class sedan, “It drives completely differently,” Kelz promises. That’s in part because there’s a sportier chassis tune used for the new CLS, though ride quality was still an important consideration. “There’s a wide spread between Comfort and Sport [driving modes],” Kelz says. All the bodywork except for the doors is made from aluminum; the doors remain steel to give them a solid-closing feel and sound. The 2019 CLS-Class grows by 2.0 inches in length but height declines by half an inch. 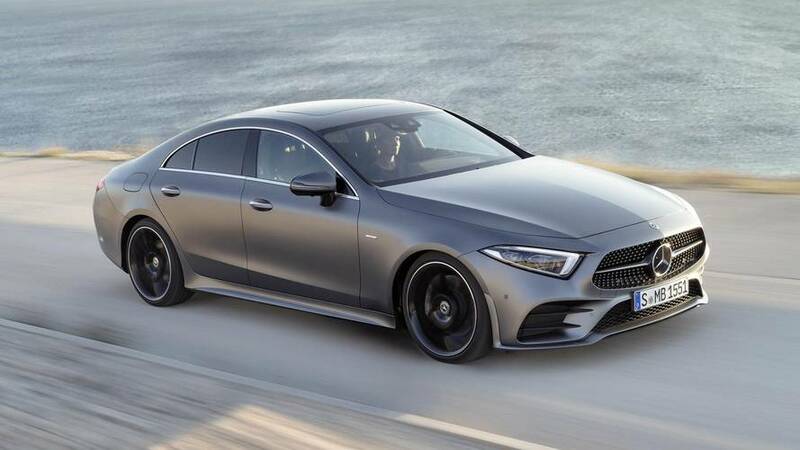 The design remains a four-door coupe, with a swooping roofline and a plunging trunkline, the latter reducing trunk space by a modest amount versus an E-Class sedan. The doors still employ frameless windows, primarily for styling but also because it cuts wind noise. Kelz says that the cleaner transition from window glass to B-pillar and back is more aerodynamic and thus produces less noise. Coupled with optional acoustic glass and other upgrades, “the car is quieter than even the E-Class,” he says. 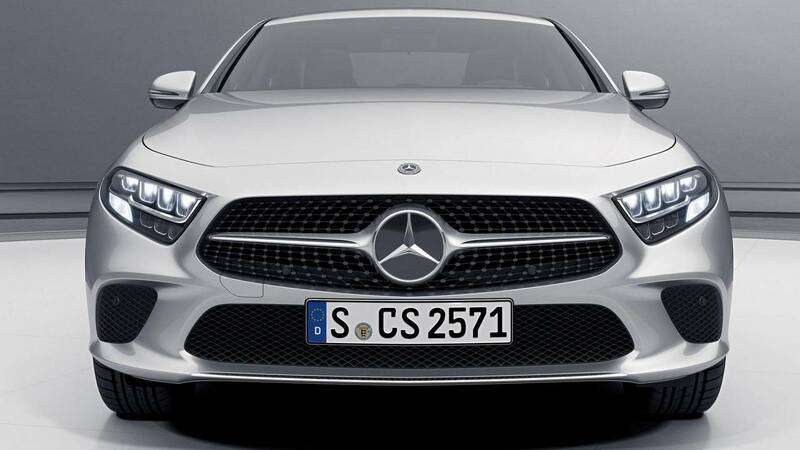 The very pretty nose has a similar grille shape to the AMG GT range, with the snout pointed forward – “reminiscent of a shark’s nose,” the company says – and a detailed splitter with prominent lower air intakes. The body sides, like the newest S-Class, are smooth and subtly detailed, while around back, LED taillights accentuate the wide trunk. The cabin is full E-Class, with the same twin 12.3-inch color displays serving as the instruments and infotainment system, along with the combination touchpad/rotary controller on the center console. Key details distinguish this cabin from other models, though: the over-styled air vents have integrated lights that change color from blue to red as the temperature is adjusted, and there are fewer shortcut buttons for the Comand infotainment system clustered on the center console. Detailing is superb, with elegant stitched leather, smart buttons and switches, and the latest S-Class steering wheel with touch-sensitive control nubs, plus cruise-control buttons relocated from the steering column to the wheel. Trunk space is also unchanged from the old car; it measures 520 liters (18.4 cubic feet) in European specification. One of the most important changes for the new car is the introduction of a mild-hybrid powertrain. 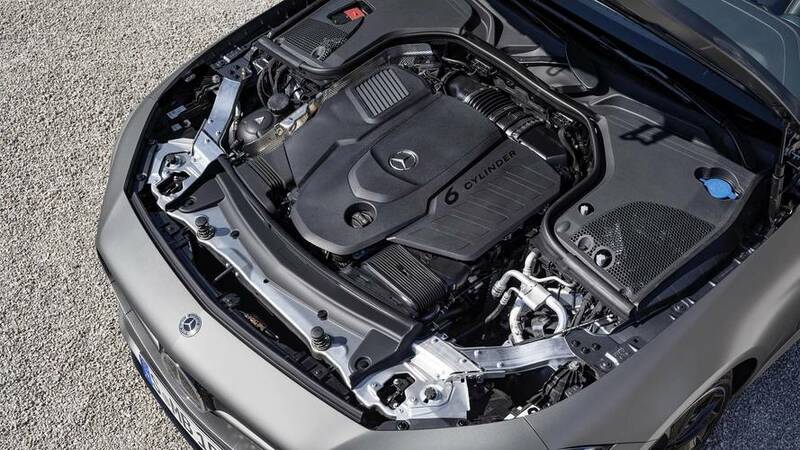 The car launches in the U.S. as the CLS450 and CLS450 4Matic, which means there’s an “EQ Boost” powertrain under the hood. It consists of a 3.0-liter turbocharged inline-six rated for 362 horsepower and 369 pound-feet of torque, supplemented by an electric motor-generator good for 21 hp and 184 lb-ft of extra boost. The motor-generator is integrated into the nine-speed automatic transmission and connects to a 1-kilowatt-hour, 48-volt lithium-ion battery under the hood. The gas engine has no belt-driven accessories, with the air conditioning now electrically powered. That means the car can coast with the engine turned off (similar to the Audi A8's mild-hybrid powertrain), and it also allows the air conditioning to operate with the engine turned off. Kelz says that in a test on a hot day in California, the air conditioning kept the cabin cool for five minutes while the car was waiting with the engine off at a red light. There are no acceleration or fuel economy figures available just yet. 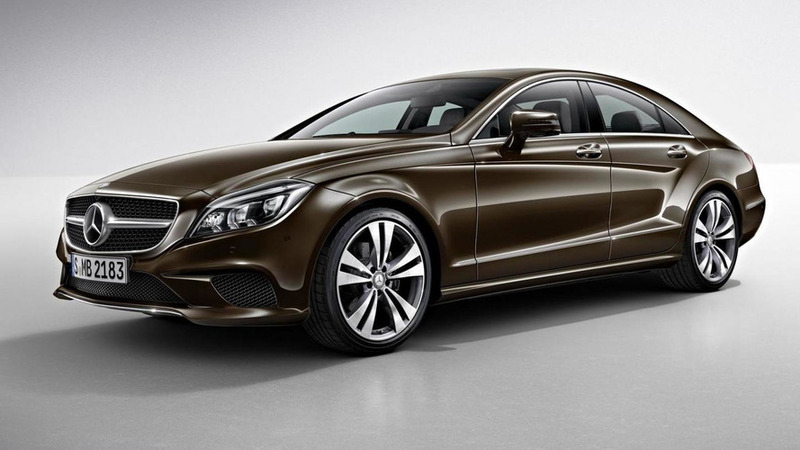 However, Kelz says the new CLS450 is approximately 15 percent more efficient than its predecessor. There is still a 12-volt electrical system, with its battery in the trunk, which powers the majority of the car’s on-board electronics. In fact, in Europe there will be a diesel model without the mild-hybrid system. In-car technologies available in the 2019 CLS mirror those of the newest S-Class, including massaging seats, a perfuming/ionization climate system, to four-corner control, semi-autonomous steering, wireless phone charging, the ability to unlock and start the car with an NFC-enabled cellphone, a high-end Burmester sound system, various Nappa leather upholstery seating options, and genuine wood trim. There will not be a CLS Shooting Brake in this generation (it was never sold in the U.S.), because Mercedes feels the E-Class wagon fills that niche adequately. The model pictured here in white is the Edition 1, the launch model that wears Nappa leather with “Copper Art’ stitching, an AMG-line body kit, 19-inch AMG wheels, an IWC analogue clock, black ash wood trim, and various “Edition 1” badges. The 2019 Mercedes-Benz CLS450 goes on sale in the U.S. next fall.